The Sony PlayStation 3 console is being primed for a $100 (£50) price cut in America. There has been no confirmation from SCEA (Sony Computer Entertainment America) so far, but GameDaily Biz (now part of Joystiq) claims to have got wind of the info through sources in the retail industry. 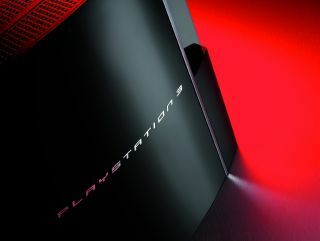 A leaked Circuit City flyer designed for the week of July 15 indicated that the US retailer will be selling the PS3 for $499 (£248). But it was not whether this was a Circuit City-only promotion or whether this was an official price cut from Sony. So GameDaily Biz got in touch with its pals in retail, and one anonymous source confirmed that the PS3 would indeed be receiving a retail-wide $100 price cut from mid-July. It's long-been rumoured that Sony would have to cut its PS3 prices this year, after sales lagged far behind that of the Xbox 360 and the Nintendo Wii. These prediction now look like coming true, and sooner than anyone thought. The news means that the US price of the PS3 is now £150 (that's $300) cheaper than it is in the UK. Luckily for British gamers, the PS3 is doing almost as badly in the UK as it is in the United States. So a US price cut indicates that a European one may follow at some point in the near future. However in an interview with Reuters this morning, Sony president Ryoji Chubachi denied that the company had any plans to cut the PlayStation 3 price any time soon.